Needs a filter and gasket. I pulled em off to inspect it. Drove perfect. Do you know if that would fit behind my 87 Comanche? Bolt on yes. Plug in...not sure. 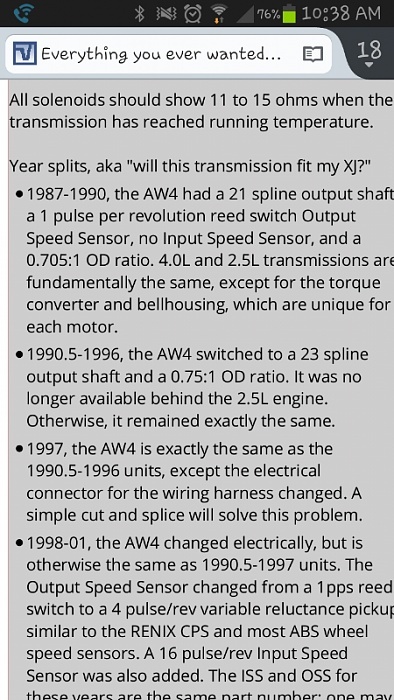 Google "NAXJA everything you wanted to know about the AW4"
Dies when I give it gas.